MA Chidambaram stadium in Chennai is all set to witness a clash between Chennai Super Kings and Kings XI Punjab on Saturday. 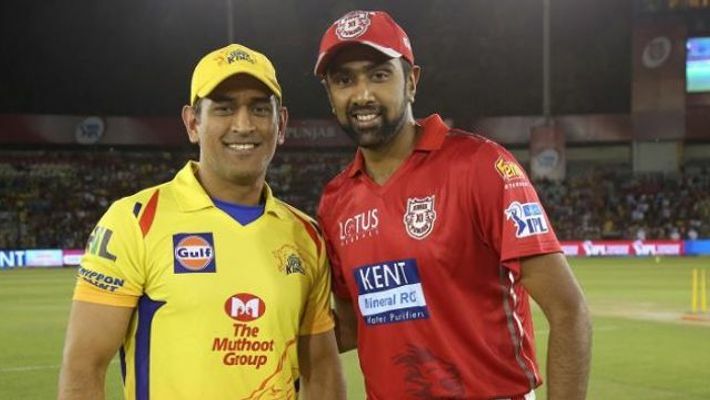 CSK captain Mahendra Singh Dhoni’s calm approach to leadership will be a sharp contrast to Ravichandran Ashwin’s aggressive approach to tackling different situations. Ashwin was recently embroiled in the Mankading incident during a match with Kings XI Punjab. He threw off the burden of playing the ‘gentleman’s game’ and put primacy on getting the right result. Jos Butler became the first victim of Mankading in the history of IPL. Dhoni, on the other hand, stays unperturbed in the hardest of situations and almost always finds a way to wriggle out. Both the teams are at the top of the points table with 3 wins each and will attempt to bag another point with this win. CSK suffered their first defeat against Mumbai Indians after three straight wins on Wednesday. The Chennai side is dominated by spin-heavy bowlers but has equal competition from quality spinners like Mujeeb Ur Rahman, M Ashwin and CV Varun led by Ashwin himself on the Punjab team. The home team’s bowling side must be prepared for Christ Gayle’s batting. The batsman missed the game played on April 1 against Delhi Capitals. KL Rahul and Mayank Agarwal stepped up in the absence of Gayle and Punjab players must retain their form as CSK will put up a tough fight. Opener Ambati Rayudu’s performance has been questionable since the start of the season, and this could be an opportunity for Murali Vijay to regain his position as top order batsman. Dwayne Bravo’s absence in the next game following a hamstring injury will open the spot for New Zealand pacer Scott Kuggeleijn. Dhoni might also add an extra spinner in Mohit Sharma or Shardul Thakur’s place after the Mumbai game. Ashwin who was a part of CSK in the previous season will be playing against his former team also the defending champions of the IPL cup.